Tomato ramen is a recent phenomenon that has been giving traditional ramen joints a run for their yen. 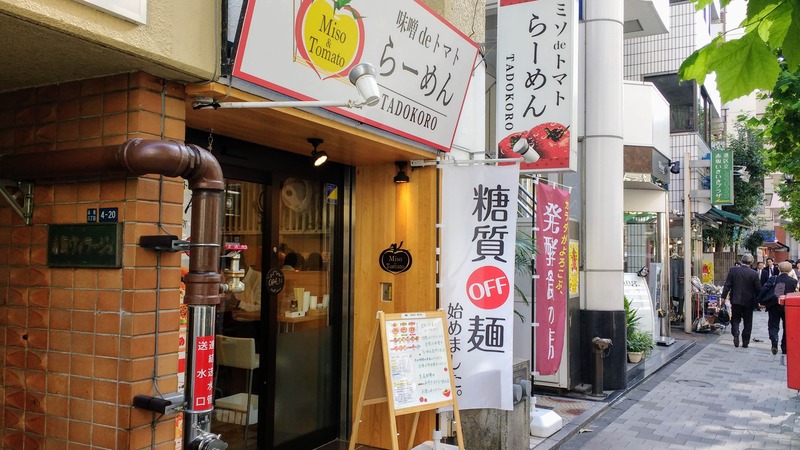 Tadokoro—a newly opened tomato ramen restaurant on Akasaka Dori—claims that they serve “healthy ramen”. If you’re a vegan or vegetarian, the good news is that the soup is made using tomato and konbu (seaweed), so ramen (usually soaked in pork fat) is back on the menu. At Tadokoro, first you choose your noodles and then your topping. 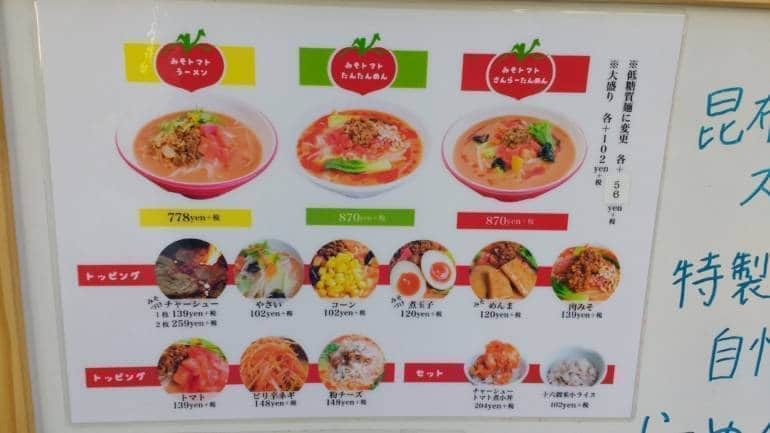 The noodle choices are ramen, tantanmen or a ramen/tantanmen combo. Toppings include chashu pork, vegetables, corn, boiled egg, menma, tomato, pirikara negi (spicy spring onion and sprouts) and powdered cheese. As standard, the noodles come with niku-miso (miso mixed with meat) so if you’re not a meat-eater, be sure to ask for your noodles without the niku-miso. My order of ramen and a towering helping of pirikara negi came to exactly ¥1,000. The soup was rich and tasty and wasn’t lacking in umami while the noodles were appropriately al dente, making for a very satisfying bowl of “healthy” ramen. 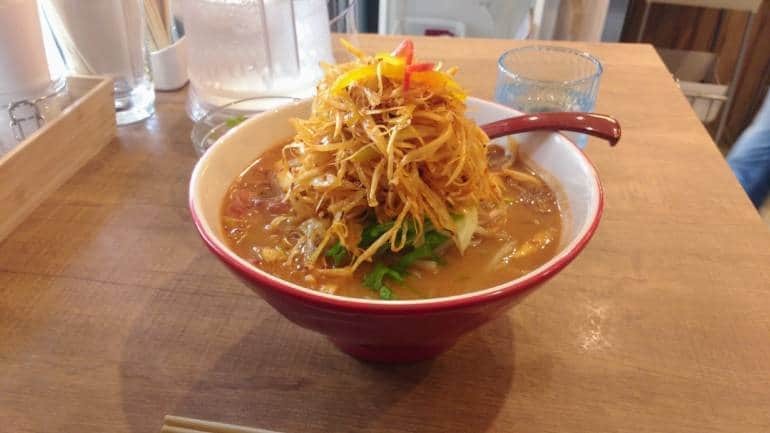 See our guide to Tokyo Ramen Street for more vegetarian/vegan ramen options.